Whether you require a single panorama or a complete virtual tour, we can handle it. We can create interactive panoramas for your website, kiosk or a complete CD-ROM title. Our panoramas are also available as fine art prints in a wide variety of sizes. A sample of our work is shown below in a flat format, such as might be used for print. Interesting prints also can be made using other, more unusual, projections of the image. Click on the image below to open it as an interactive panorama. 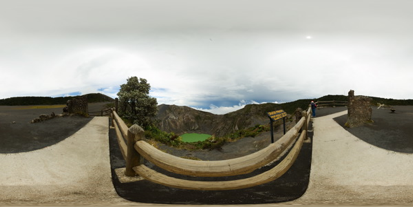 To view more examples, visit the Sample Panoramas page by clicking on the link at left or HERE.